Hallatonfest | Glamping Comes to Hallatonfest 2019 Courtesy of parTpees! Want to experience Hallatonfest like a true VIP? 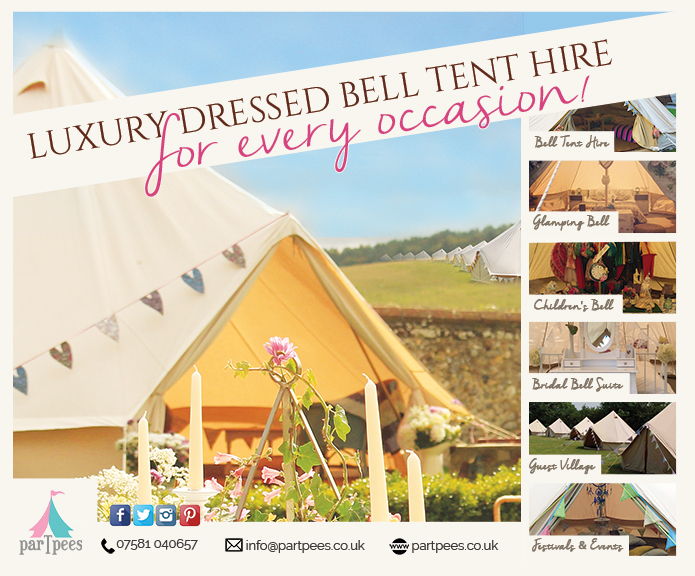 parTpees Based in Rutland offer luxury bell tents to allow you to glamp under the stars for a truly memorable festival experience. With the option of blank canvas tents or the full bells and whistles (pun intended) with memory foam mattresses and luxury bedding, parTpees ensures a 5* service. With beautifully dressed tents, you’ll never want to leave! Featured in both Vogue and Tatler, this multi award winning team is sure to be the perfect bohemian addition to our camping area!